Welcome to take Mt. 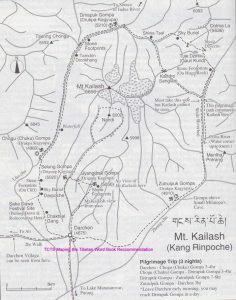 Kailash Yatra. The spiritual Mt Kailash and Lake Manasarovar Yatra is the really ultimate one a life time spiritual experience for many people. 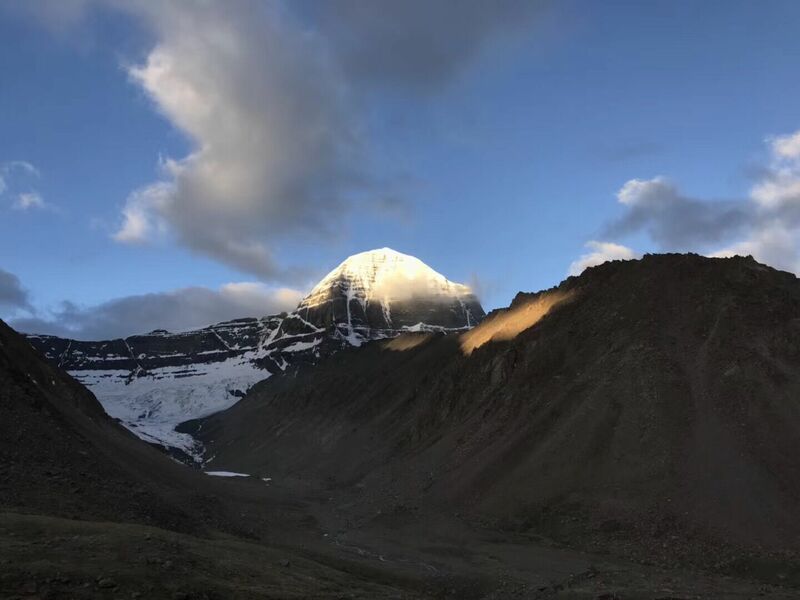 Mount Kailash (also nicknamed as Kailas; Kangrinboqe or Gang Rinpoche in Tibetan) is a 6,638 m (21,778 ft) high peak in the Kailash Range (Gangdise Mountains), which forms part of the Trans-Himalaya in the Tibet Autonomous Region of China. It’s said that one has to be fortunate enough to take the Kailash Yatra. The first Darshan of Kailash gives you the EXCEPTIONAL DIVINE FELLING. The more you hike closer, the more you will be attracted and surrender yourself to this DIVINE POWER which attracts you more towards it. 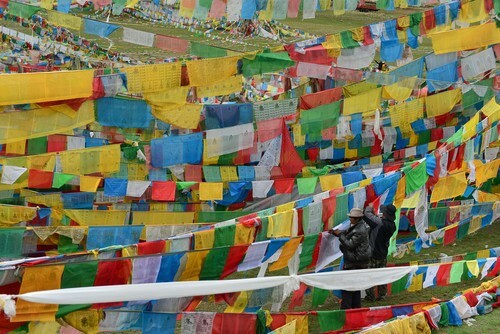 The place is worshiped by Hindus, Jain, Buddhists and Tibetans for their own religious reasons. The famous and holy Mt. Kailash sits impressively to the west of Tibet.The sheer mountain is located on a barren and empty plateau in Tibet and is a very sought after destination for a large number of devotees of Hindu, Jain, Buddhist and Bon faiths.Thousands of mount Kailash Yatras are conducted every year. Locally, the mountain is named Kang Rinpoche and is surrounded by 5 mystical Buddhist temples that are considered sacred by the locals. The area surrounding the mountain is also full of shrines devoted to deities from these religions, enhancing the mystical and religious aura around the mountain. The mountain stands tall at an elevation of 6,638 m and is considered by devotees to be the center of the universe itself. The symmetry of the mountain on all four sides is also something that makes it unlike any other mountain. The mystic nature of the mountain and its surroundings have been the birthplace of many divine legends that are the focal point of devotional practices like the mount Kailash Parikrama. Hindu legend says that a person who goes to the top of Mt. Kailash will be able to meet lord Shiva himself, but so far, no one has scaled the mountain to its peak due to the dangers of climbing it and later, to protect the religious significance of the mountain. According to Bon mythology, the mountain is a seat of spiritual power, while Jainism gives it the name of Mt. Ashtapada where Rishabhadeva, the one that built the Jain faith attained ‘Moksha’, the freedom from the cycle of birth and reincarnation. A visit to the mountain is sure to explain why so many legends and beliefs have sprung up from it. 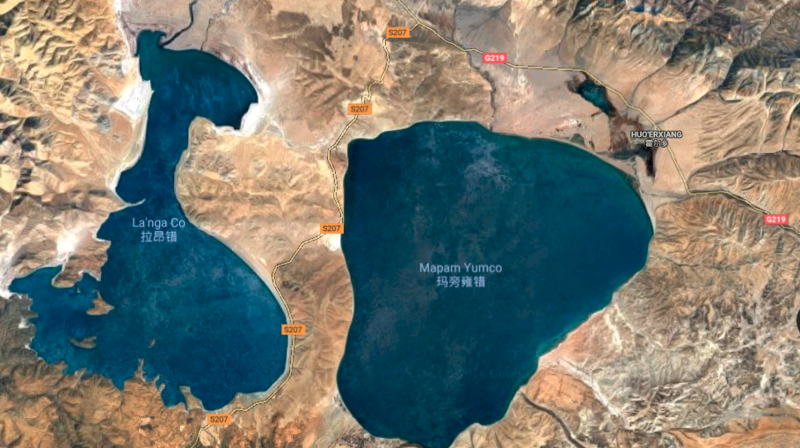 At a distance of 15 miles from the sacred mountain lies Lake Manasarovar, a pristine lake with water so pure that even deities are said to crave it. Pilgrims come from far and wide on the Manasarovar Yatra and take a dip in the lake and purge themselves of their past sins before they go back to their lives. The beauty of the lake and its surroundings with Mt. Kailash looming large in the background makes it an exceptional travel destination, whether for religious purposes or not, making the Mount Kailash Yatra an immensely rewarding journey for the travel hungry. The name Manasarovar comes from the Sanskrit words “Manas” which means mind and “Sarovar” which is the word for lake. The legend behind it is that Lord Brahma created the lake in his mind, which is why it is the epitome of purity for Hindus. According to Hindu mythology, this was the place where Lord Shiva lived, making it as close to heaven as it is possible to find on earth. The mystical nature of the lake has been the source of legend and the birth of many beliefs for centuries, making it a must visit location for travelers. The lake is the starting point of four major Asian rivers, the Brahmaputra, the Sutlej, the Indus and the Ganges. It is also home to many species of animals, birds and plants. The Ganges, or Ganga is considered sacred in India, with many devotees coming together to perform rituals along the river. Walking the Kora has different meanings for different religions. Hindus and Buddhist walk clockwise around the mountain, while those of Jain and Bon persuasions walk the Kora counter-clockwise. 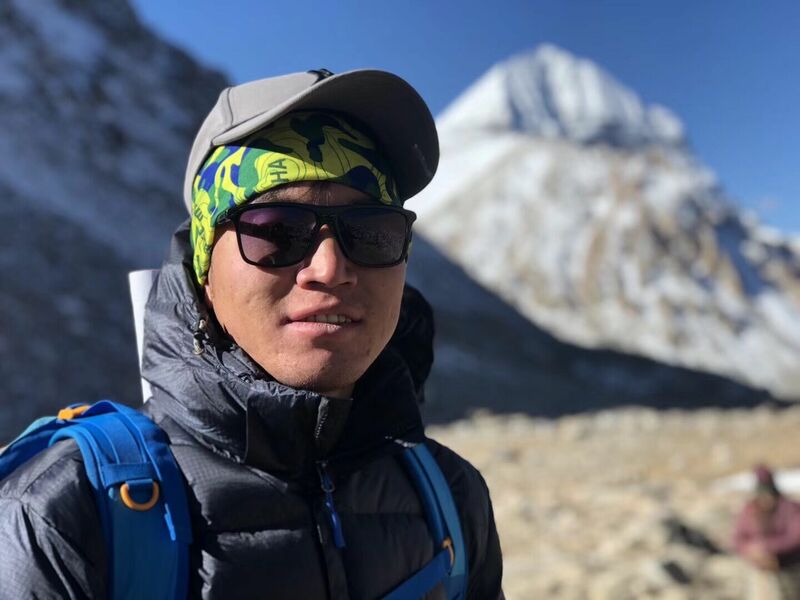 The difference is attributed to the legend of an ancient battle fought between Naro Bonchung and Milarepa who were trying to gain control over the sacred mountain. Milarepa won the battle, but showed mercy to the Bon devotees, allowing them to worship and make the Kora, but they would have to do it backwards. It is this practice is still followed to this day. This is not an easy walk, with a 52 km path at an altitude of 5,000 meters above sea level, with rocky and dangerous terrain all over. The weather can become incredibly harsh, especially at night, where the mercury drops to extremely low temperatures. Considering all this, making the Kora once would be difficult in itself, making it 108 times is a feat worthy of enlightenment. Accommodations are generally spare, with few amenities of luxury as they are just meant to serve travelers of the Yatra and not conventional tourists. 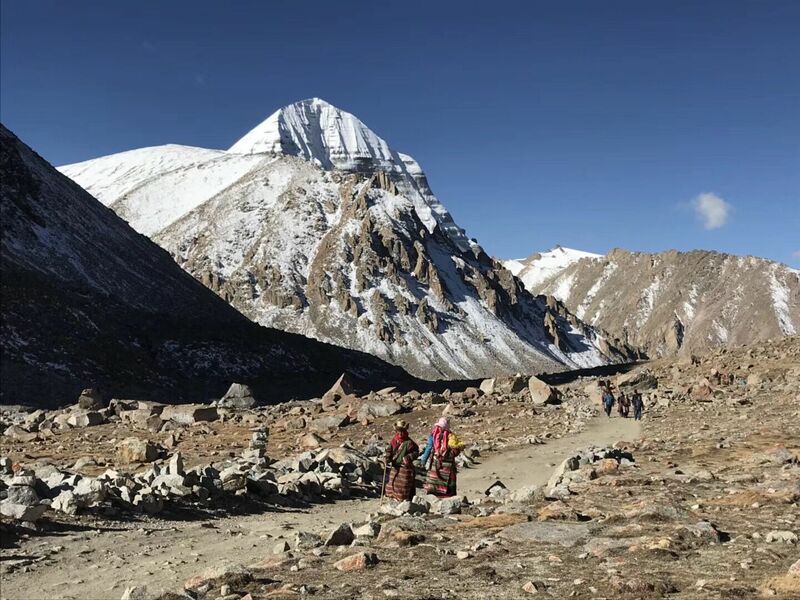 Mt Kailash Kora (Pilgrimage Circuit) – A pilgrimage to Mt Kailash involves nothing more or less than making circuits around the sacred mountain. 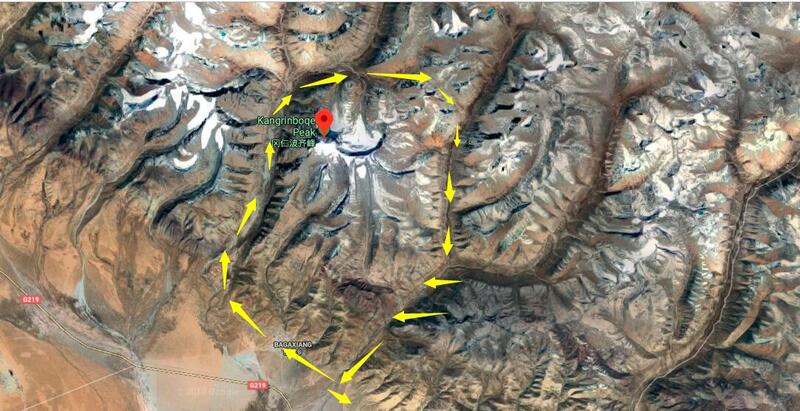 The Outer Pilgrimage Circuit (Chikhor) is about 52 km, and Tibetans can complete a circuit in a day. The majority of pilgrims try for 13 circuits, if they can. Some pilgrims do a circuit performing Kyangcha (Prostration). While the average circuit takes about 14 hours to complete, those doing prostration can take a couple of weeks. Those seeking to secure their path to enlightenment try for 108 circuits. 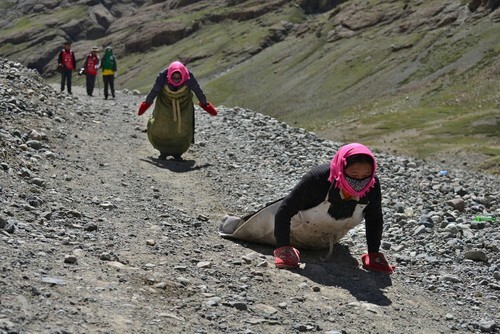 Buddhists and Hindus travel clockwise around the mountain while Bonpos travel counter-clockwise. Most travelers take three days to complete a circuit. It is important to pick the right time to go on the Yatra, considering weather, crowd and other seasonal factors. 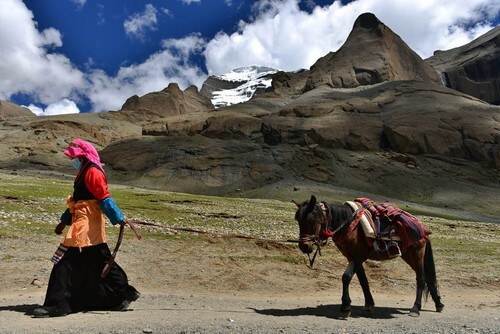 The ideal window for these Tibet Kailash tours is from the middle of May up to October. This is when most pilgrims make their journey, allowing for more safety on the pilgrimage when support from fellow travelers is available. Large numbers of devotees from the Indian subcontinent travel to perform the Manasarovar Parikrama. The scenery is also at its best during these times, as there is less fog and mist, allowing people to have a look at the far away beauty of Mt. 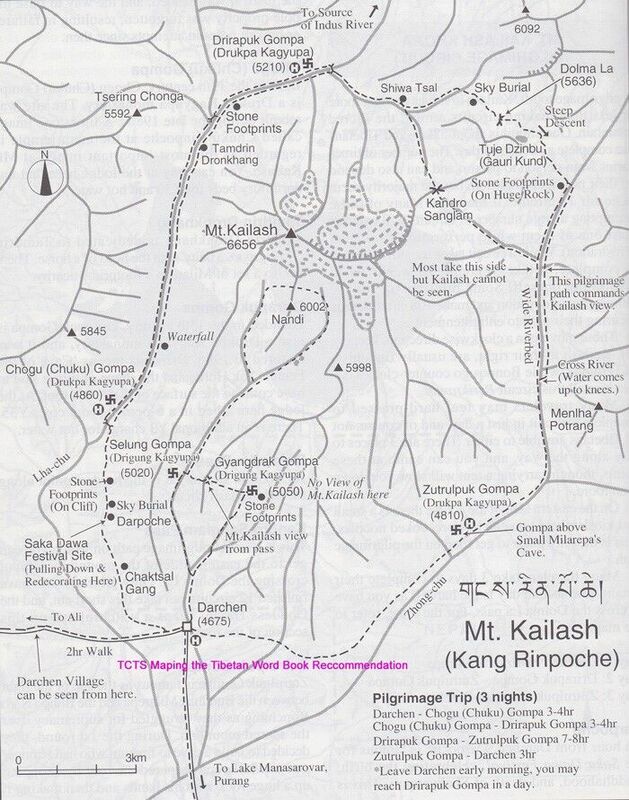 Kailash and its surroundings. Lake Manasarovar Kora (Pilgrimage Circuit) – Together with Mt Kailash, Lake Manasarovar is a pilgrimage site. There is a pilgrimage path around the lake and a circuit is a little over 100 km, taking 4-5 days to complete. Chiu Gompa, 30 km south of Darchen, is a good starting point for a circuit around the lake. However most travelers do this by vehicle in 3-4 hours, and they normally do this leisured journey before heading to do the Kailash Yatra. The region has more to offer than the immensely popular Yatra, with scenic destinations and many places unlike any other on the planet. The lake of compassion, Gauri Kund is one other lake that stands out as an attraction. While this part of Tibet is generally focused on pilgrimages, there are a great many attractions for people who are just casually visiting to experience the mysticism that the Tibet Kailash tours have to offer. The locals also set up stores for a number of trinkets, handicrafts and souvenirs that are native to the land and the pilgrimage. 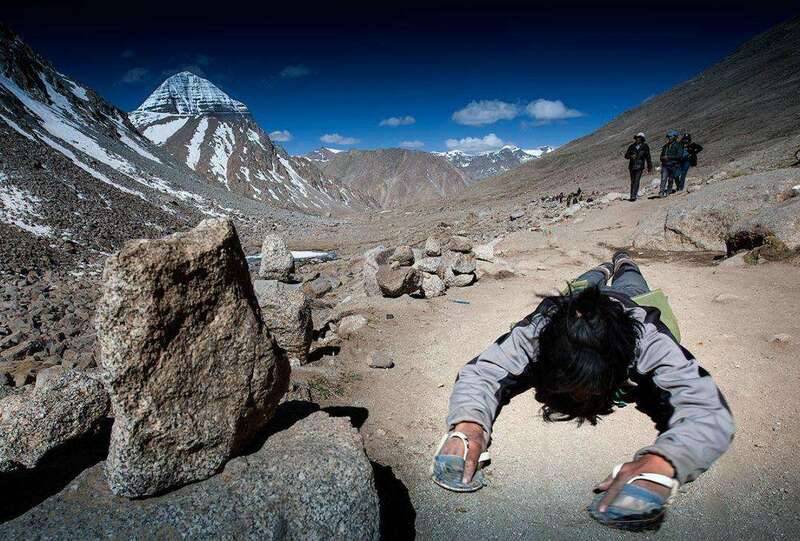 Here Here let Tibet Travel Expert Recommend you some Typical Kailash Manasarovar Yatra Experiences.